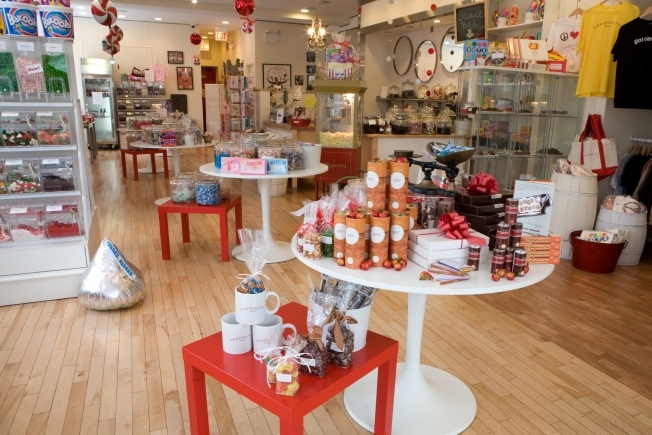 Make your confection connection at Candyality. Founded on the sweet idea that everyone has a "candy personality" (we think ours must be "schizo" because it's ever changing), Candyality is a unique sweets boutique located in Lakeview. The addictive store, which stocks everything from old fashioned fudge and 21 colors of M&M's to retro and novelty candies, popcorn and ice cream, is currently recruiting for its Candy Council, probably the most coveted job outside of actually working in a candy factory. The Candyality Candy Council is open to kids ages 10 to 13, and all you have to do to apply is stop by the store (uh, no problem), pick up an essay form and write about why you'd be perfect for the position in 250 words or less (and, no, we don't think the number of cavities you have will help your case). The kids chosen for the advisory board will meet throughout the year to provide feedback on new confections Candyality is considering carrying. Think you're the best kid for the job? You've got until Friday, June 19 to prove your point.